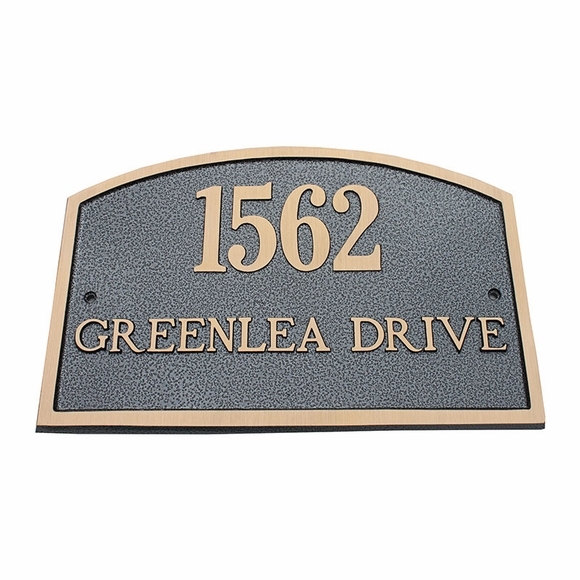 Personalized Two Line Cast Brass Address Plaque - - large 14.25"W x 9.25"H address sign holds two lines of personalization. Made in the USA. Dimensions: 14.25" x 9.25"; weighs 12.5 pounds.